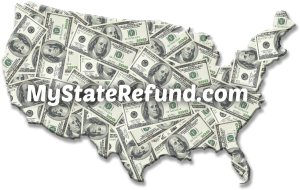 My State Refund State Listing - Where’s My Wisconsin State Refund? Where is my Wisconsin State Refund? Where’s my WI Tax Refund? For more information, you can visit the website of The Wisconsin Department of Revenue. You can visit Wisconsin’s tax agency website for WI sales tax information. $0 – $20 of taxable income in first bracket has a tax of –0–. $20 – $40 of taxable income in second bracket has a tax of $1. $40 – $100 of taxable income in third bracket has a tax of $3. $0 – $9,690 of Wisconsin income in first bracket has a standard deduction of $10,080. $9,690 – $10,000 of Wisconsin income in second bracket has a standard deduction of $10,080. $112,000- $112,159 in last bracket has a standard deduction of $0. $0 – $9,690 of Wisconsin income in first bracket has a standard deduction of $18,150. $9,690 – $10,000 of Wisconsin income in second bracket has a standard deduction of $18,150. $112,000 – $112,159 in last bracket has a standard deduction of $16. For Wisconsin income of $112,159 or over, the standard deduction is $0. $9,690 – $10,000 of Wisconsin income in second bracket has a standard deduction of $8,589. $112,000 – $112,159 in last bracket has a standard deduction of $0. $0 – $9,690 of Wisconsin income in first bracket has a standard deduction of $13,020. $9,690 – $10,000 of Wisconsin income in second bracket has a standard deduction of $13,020. Note: These tables have not changed from the 2013 version. Determine midpoint of $25 brackets ($1 – $25 of property tax paid in first bracket has a credit of $2). Multiply the midpoint by 0.12. For property tax paid of $2,500 or more, the credit is $300. Determine midpoint of $100 brackets ($1 – $100 of rent paid in first bracket has a credit of $1). Multiply the midpoint by 0.024. For rent paid of $12,500 or more, the credit is $300. Determine midpoint of $100 brackets ($1 – $100 of rent paid in first bracket has a credit of $2). Multiply the midpoint by 0.03. For rent paid of $10,000 or more, the credit is $300. $0 – $8,060 of household income in first bracket has a Table A amount of $0. $24,620 – $24,680 of household income in second-to-last bracket has a Table A amount of $1,457. $24,680 or more of household income in last bracket has a Table A amount of $1,460. $0 – $.01 in first bracket has a Table B amount of $0. $.01 – $10 in second bracket has a Table B amount of $10. $1,460 or more in last bracket has a Table B amount of $1,168. Determine the Table B amount for that midpoint by multiplying the midpoint by 80% (.80). 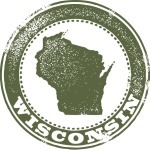 This entry was posted in State Refund Information, Wisconsin and tagged State Refund, Where's My Wisconsin State Refund?, WI, Wisconsin, Wisconsin State Refund. Bookmark the permalink. Follow any comments here with the RSS feed for this post. Post a comment or leave a trackback: Trackback URL.